Paris, August 1st, 1888. The day when René Lalique registered his hallmark, made up of his initials and a stylized sword, to be stamped on the gold designs produced by his studio. This legal and founding act took his career off when his hallmark enabled him to sign his work, turning his name into a brand. The house of Lalique has drawn its inspiration from the most prized of materials with Or Intemporel 1888. In order to underline the exceptional status of the fragrance, the Noir Premier bottle sheds its nocturnal shade to wrap itself in light. A particularly refined tint of gold, with a striking semi-translucent finish. 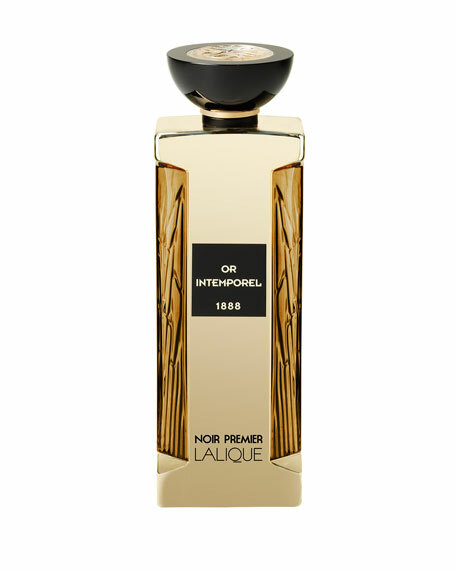 A black screen-printed label adorning the front of the bottle bears the name of the fragrance in gold hot-stamping. 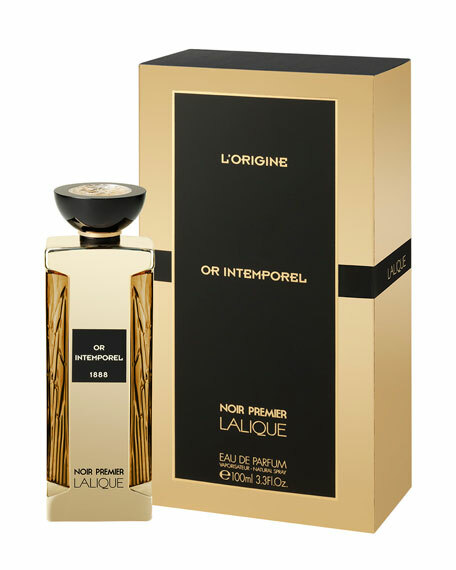 With Or Intemporel, Lalique offers its olfactory interpretation of the precious metal... Two deliciously addictive main notes, tobacco and coffee, blend to conjure both the opulence of gold and the fascination it has always held for mankind. 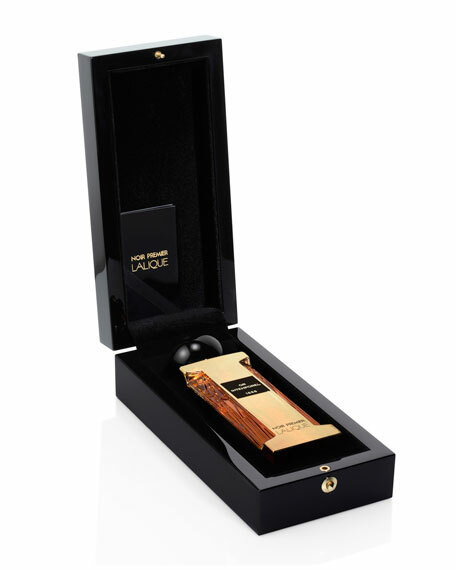 The intense, unusual accord is textured with hot and cool spices (cardamom, nutmeg, black pepper) which express the contrast between the sunny glow of gold and the metal's coldness. Vanilla and tolu balsam, bolstered with a dash of patchouli, add rich, tender golden hues to the dusky palette. Lalique Amethyst Eau de Parfum Spray, 1.7 fl.oz.